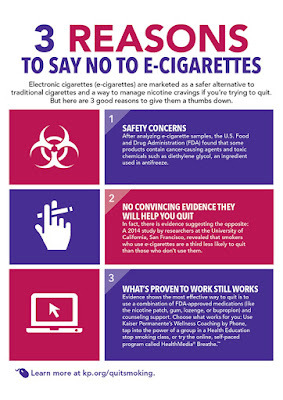 Kaiser Permanente, the health care consortium that insures over 10 million Americans, is telling its members, “say no to e-cigarettes…here are 3 good reasons to give them a thumbs down.” Those reasons, straight from the prohibitionist playbook, are outdated, irrelevant, deceptive and irresponsible. Reason #1: “Safety concerns.” KP mentions a six year old FDA study that reported traces of diethylene glycol and tobacco-specific nitrosamines in some e-cig liquid samples. As I explained, “the FDA tested e-cigarettes for TSNAs using a questionable sampling regimen, using methods that were so sensitive that the results may have no possible significance to users. The agency failed to report specific levels of these contaminants, and it has failed to conduct similar testing of nicotine medicines that have been sold in the U.S. for over 20 years.” Not only is the study outdated and irrelevant, subsequent studies have failed to find diethylene glycol in e-cig liquids. 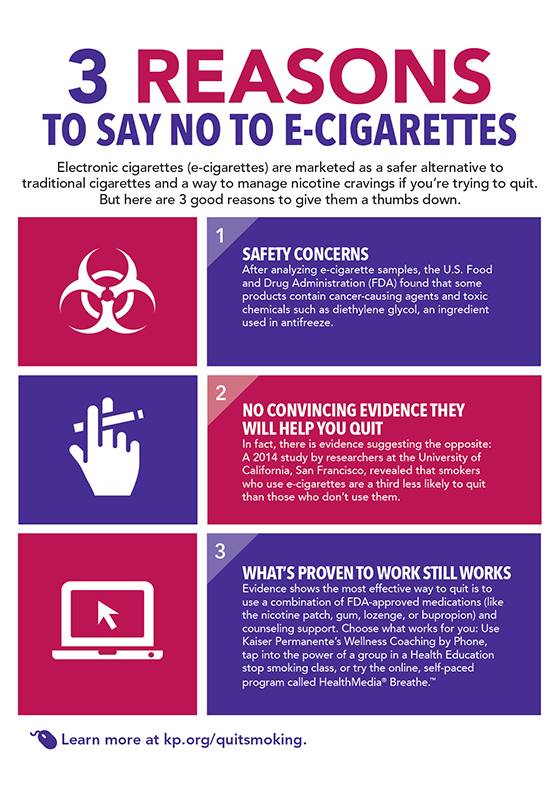 Reason #2: “No convincing evidence they will help you quit.” As I reported earlier this year, ignoring medical literature is not just irresponsible, it’s laughable: There are legions of former smokers who credit e-cigarettes with life- and breath-saving benefits. 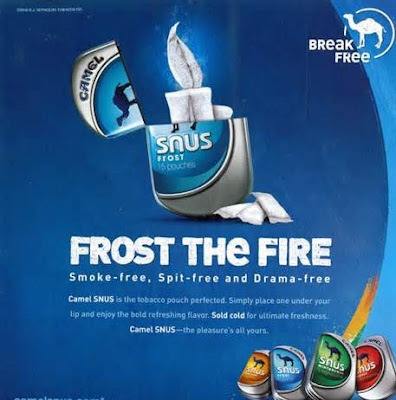 · Take 10 deep breaths and hold the last one while lighting a match. Exhale slowly and blow out the match. Pretend it's a cigarette and crush it out in an ashtray. · Take a shower or bath. · Learn to relax quickly and deeply. Visualize a soothing, pleasing situation and get away from it all for a moment. Concentrate on that peaceful image and nothing else. · Light incense or a candle instead of a cigarette. · Try crossword puzzles, needlework, gardening, or household chores. Wash your hands, do the dishes, or try new recipes. · Brush your teeth and use mouthwash. A small study quietly published last year confirms findings of my 1998 clinical trial: appropriately informed, smokers will embrace smokeless tobacco (ST) as a satisfying and socially acceptable cigarette substitute. Led by Dr. Jessica Burris, MUSC investigators recruited 57 smokers who were unmotivated to quit into one of three groups: (1) a control group of 11 smokers who smoked their own cigarettes; (2) 23 smokers who were given Camel Snus and instructed to use it to cope with smoking restrictions (Snus to Cope); and (3) 23 smokers who were instructed to use Camel Snus to reduce or even eliminate smoking (Snus to Reduce). Data was collected at the start, midpoint and end of the two-and-a-half week study period. 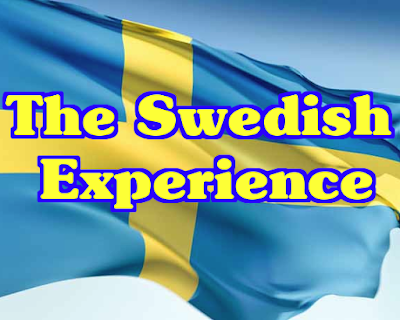 Although the study numbers were small, the results showed that snus worked, especially keeping in mind that women, who don’t normally use ST, comprised 65% of the snus groups. Sixty-four percent of the Cope group and 71% of the Reduce group used snus daily. Daily cigarette use declined by 18% in the Cope group and 38% in the Reduce group. Compared with the control group, motivation and intent to quit smoking was higher in both snus groups. The scientific case for ST as a smoking cessation aid continues to expand. The Campaign for Tobacco Free Kids and other anti-tobacco groups have persuaded the city of San Francisco to ban smokeless tobacco in municipal sports venues (here). The ordinance takes effect in January 2016, but neither athletes nor fans will likely feel its effect. 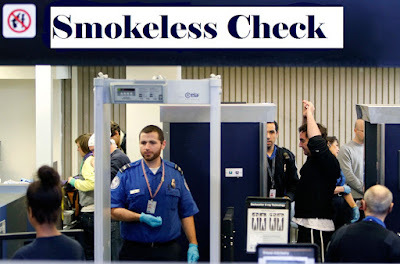 CTFK president Matthew Myers wants smokeless products banned everywhere; last week he convinced the California Assembly to pass a state-wide ballpark ban (here); the bill is pending in the state senate. If Myers and ballpark barons really wanted to protect children, they wouldn’t let fans drink alcohol and drive. Most venues sell alcohol; San Fran’s AT&T Park offers beer, wine, Irish coffee and 4,000 parking spaces. To be effective, ballpark bans would require full-body searches, including mouth exams, at the gates. A game’s worth of snus or moist snuff pouches can fit in a zip-lock bag and be tucked in a pocket or purse. Placement inside the upper lip virtually eliminates spitting, making use of the product invisible. Even slo-mo replays won’t expose players’ enjoyment of these products on the field. Laws should not be broken, but as with the failed American experiment of Prohibition a century ago, ballpark bans on smokeless tobacco will only spark civil disobedience.